In 1984 Mikro-Gen released a fun but extremely difficult ' Automania ' for the ZX Spectrum. 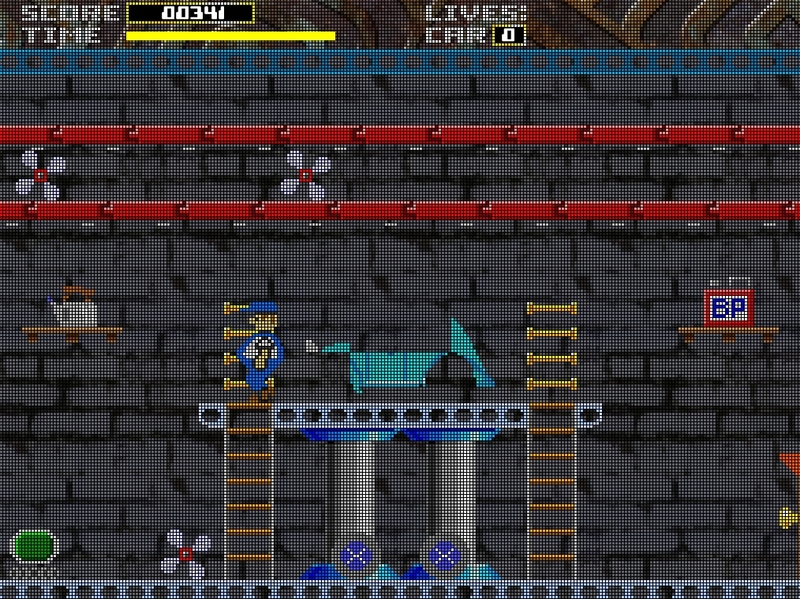 In this game your task was control Wally Week around a garage collecting car parts to rebuild a car, while also avoiding enemies both stationary and moving in different directions. Well that game has been given the PC remake treatment by Langford Productions and as such uses all the original Spectrum graphics enlarged, coloured and given that ‘Speccyvision’ look. As the developer says It’s basically what the Spectrum version would have been with a broader palette and without that famous colour clash problem.